Incredible string of ACE years that the EPAC has put up since 2014.
cycloneye wrote: New record for EPAC ACE was made in 2018. 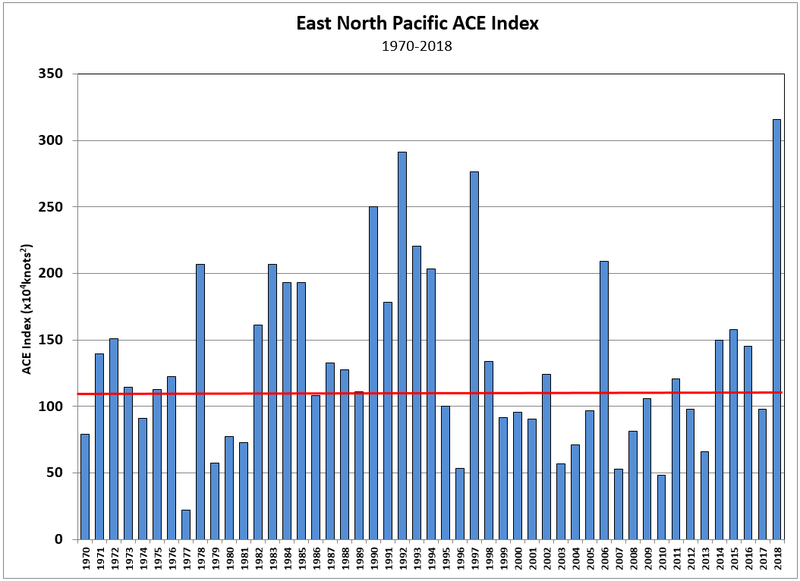 The ACE index for the East Pacific basin during 2018 was 316 (x104 knots2), which is the highest ACE value on record and almost three times the 1981-2010 average of 132 (x104 knots2 ). Who made that graph? Why are 2014 and 2015 shorted ACE (with 2015 having almost half of it missing)?